THE JANITORS are a psych-drone duo that hail from Stockholm, Sweden. As they claim themselves, they share a love for noise, monotony, and pop songs. As proven by their latest efforts on the Worker Drone Queen EP, we’d have no other choice but to believe them. When Henric from the Janitors sent the material our way earlier this month, he told us that he doesn’t just send his music anywhere, but instead to places that specialize in psychedelic and noise bands. Well, we take great pride in that here and immediately after listening to some of the material on “Worker Drone Queen,” we had to tell Henric he came to the right place. I think you will all agree as well. “Worker Drone Queen” officially takes flight after a brief, self-titled soundscape introduction that leads us right into “Do It Again.” From this moment on the shadowy evil spirits take hold and they don’t loosen their grasp until the final note of this EP. At this point you can almost anticipate what kind of sounds you’re going to encounter. Troubling shoegaze-psych bubbles and pops in a smoking cauldron, swirling around endlessly in a violent motion just like the haunting, repetitive nature of each of their songs. Hidden in the depths of this perpetual downward spiral are all sorts of jarring, metallic noise attacks that will leave you cringing in the midst of the wicked bliss. Everything about their sound and their aesthetic absolutely suggests a dark and threatening underworld, plagued by a wrathful, spiteful rage that will never feel any remorse for the torment it has caused. These two songs below do the EP great justice, but it’s still not the same as getting the whole picture. 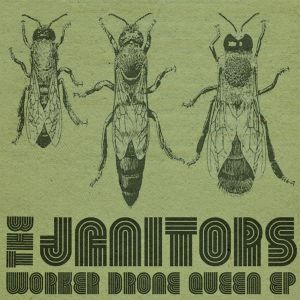 Head over to the Janitors Soundcloud page where you can listen to the EP in it’s entirety, amongst other things. If that’s still not enough, go buy the digital tracks from the band on Bandcamp – $4.95 for 24 minutes of material is a steal. 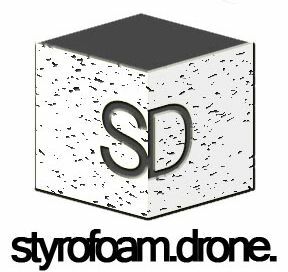 Posted on February 24, 2012 September 1, 2012 by styrofoamdronePosted in EP, Reviews, Still Spinnin'Tagged drone, noise, psychedelic, shoegaze. hey thanks! I added you guys on the blogroll!